Susan Armstrong Magidson has been involved with the breed almost since its introduction into the country in the late 1980’s. 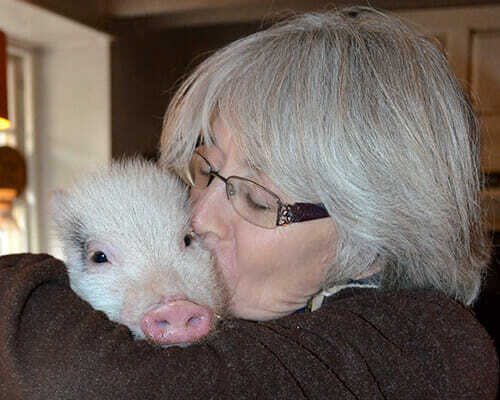 She is past president of NAPPA (North American Potbelly Pig Association) Founder Delaware Valley Potbellied Pig Association and the non-profit Pig Placement Network (PPN adoption service organization) and board member of the Duchess Fund (a medical records depository for Potbellied Pigs). 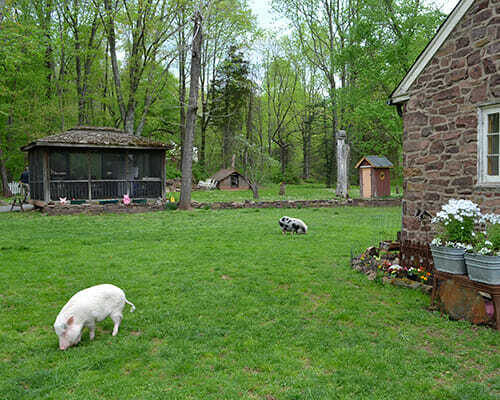 The farm manages a herd of over 180 pet pigs, some raised and living in the home. Consultation advice is practical, from first hand experience. 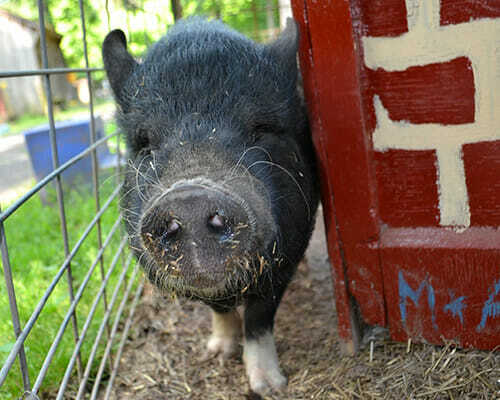 Are you getting a new pet pig for the first time and need to know the basics? Are you getting a second pig and want to know how to introduce them to each other? Are you having problems with potty training? Do you think you piggy is getting over weight and want to know how to diet them? Do you have trouble with rooting in your flower bed? 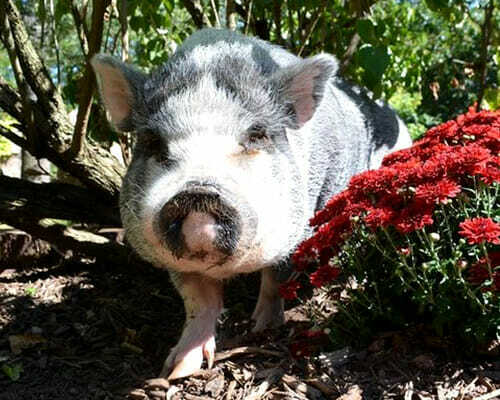 Is your pig getting grumpy and out of sorts? What is the best way to transport your pig? Are there any special health issues I should know about? What are their nutritional needs? What are the essential health issues? Can they be leash trained and how? Should I spay an older pig? No Charge for Ross Mill Farm customers, foster homes, shelters or anyone that can not afford the fee. Ross Mill Farm accepts VISA, MasterCard, Discover, Personal Checks and Cash.